HOWA - PRECISION RIFLES & BARRELED ACTIONS - Website of Outdoor Sports New Zealand! 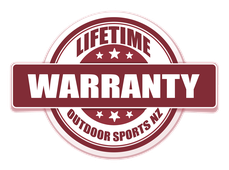 Outdoor Sports New Zealand Ltd offers a 100% Lifetime Warranty to the ORIGINAL PURCHASER on all HOWA rifles for manufacturer defects. The HOWA Rifle 100% Lifetime Warranty covers faulty, defective or broken parts due to manufacturing, and provides repair or replacement at no additional cost. Outdoor Sports New Zealand Ltd requires an original receipt, and that the firearm be registered with Outdoor Sports. Please click here to register your firearm as soon as possible after purchase, and keep your original receipt as proof of purchase. All HOWA rifles purchased in NZ on or after January 1, 2017 are covered by this offer. The HOWA 100% Lifetime Warranty is not transferable. If you believe there is a manufacturer’s defect with your HOWA rifle, simply contact your store of purchase. Once the unit is received, and it is determined to have a manufacturer’s defect, it will be repaired or replaced under warranty. If you return an item for any reason that is not a factory fault, a repair estimate will be offered before proceeding with a warranty claim. OUTDOOR SPORTS NEW ZEALAND GUARANTEES ALL HOWA RIFLES TO DELIVER SUB MOA PERFORMANCE OF 1 INCH OR LESS AT 100 YARDS WITH PREMIUM FACTORY AMMUNITION. 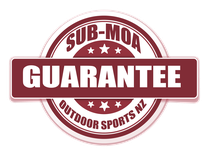 Outdoor Sports New Zealand requires an original receipt, and that the firearm be registered with Outdoor Sports New Zealand. Please click here, to register your firearm as soon as possible after purchase, and keep your original receipt as proof of purchase. All HOWA rifles purchased new in New Zealand on or after January 1, 2017 are covered by this offer. If you have an accuracy issue you believe is due to a manufacturer’s defect with your HOWA rifle, simply contact your store of purchase for assistance. The new HOWA Chassis Rifle (HCR) features endless customization options with its CNC-machined aluminum billet chassis and stunning out-of-the-box accuracy. Available in .308, 7mm-08 and NEW 6.5 Creedmoor! Lightweight, at only 5.7 lbs, this Howa also features the HACT™ two-stage trigger. Supplied with hinged floor plate. Ammo Boost™ detachable magazine system (available separately). Cerakote™ barreled action and Pachmeyer® Decelerator™ buttpad. Fantastic accuracy in an easy-to-carry hunting rifle! Chamber & bolt are 12% shorter than regular short actions with shorter bolt throw for faster reloads. Hammer forged barrel, three position safety and H.A.C.T. two-stage trigger. Factory equipped with a 10 round Ammo Boost synthetic detachable magazine.